As mentioned in my previous post I thoroughly enjoyed the 5th edition of Bangalore Ultra finishing 3rd in the open category in 5:24:17 well behind stalwart runners Athreya and Honda-San. 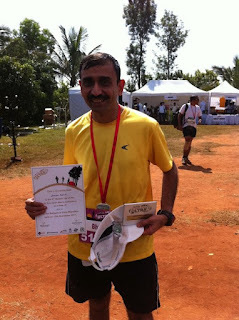 The run went as per plan -I completed the first 25K in 2:24:24 and the second 25K in just under 3 hours. 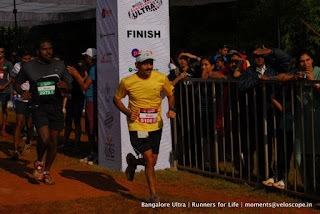 I missed my PB by a couple of minutes - though this is not that relevant as at the Ultra I usually do not push myself and also take longer breaks at the aid stations and chat up with fellow runners. Also, the new route was tougher with several turns and a long stretch that was specially gruelling and quite brutal with stones and roots strewn across. I was lucky not to hurt myself though I tripped a few times in the 3rd and 4rth loops. 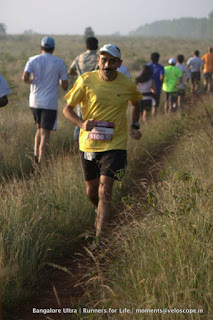 Though several runners did not like this route I thought it was quite a good change from the route of last few years. 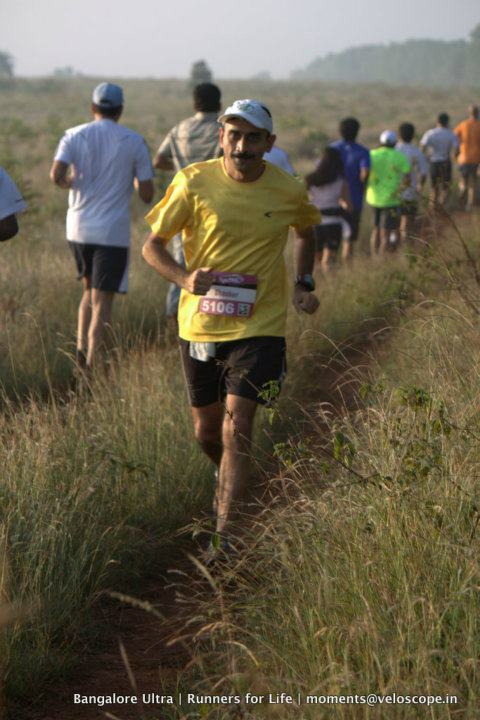 It was harder on the legs for sure and a few runners did hurt themselves. But that's all part of the challenge. We(myself , Ravi,Rajesh and Satish) left Domlur just before 430am and reached ONV by about 535am despite getting lost a bit on Tumkur road. There were quite a few cars parked already and we had a fairly long walk to the start area. By the time I got changed into my shoes, used the restroom and deposited my bag at the baggage counter it was under 10 minutes for the race to start. A1 and A2 were on the podium talking to the runners. As usual met a number of runners from across the country including Tanvir from Delhi and Bhasker Desai from Mumbai. It was great to have Madhu - the 'originator'/'founder' of Bangalore Ultra flag-off the 50Km event. Kudos to Madhu for bringing the Ultra to Bangalore!! 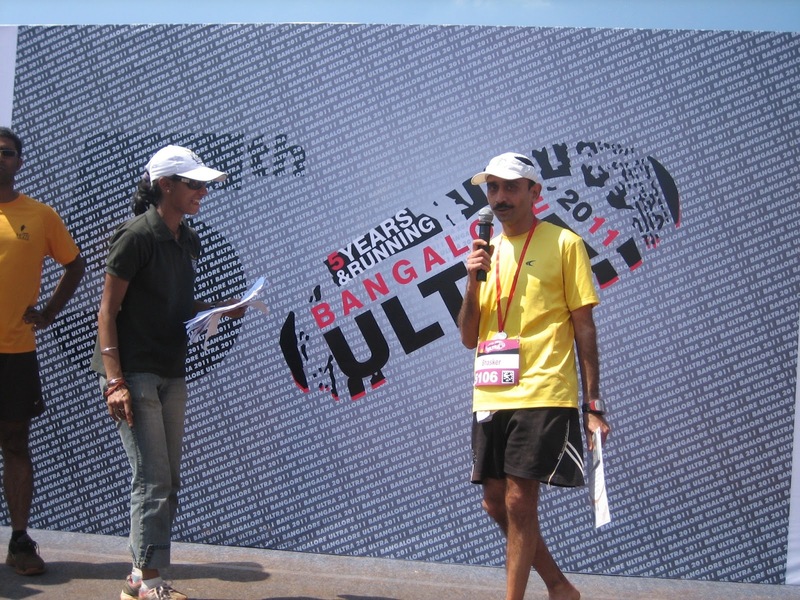 The 50Km run was flagged off at 6am sharp. 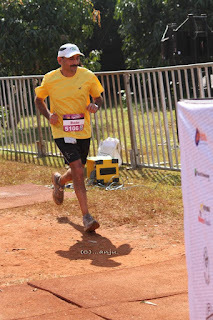 Right after the first 100m or so the route was different from the past runs. It was quite cold at the start of the race - the sun came out later and it became quite warm. Sampat and I ran most of the 1st loop together. As usual it was a 6.25Km out and back loop. 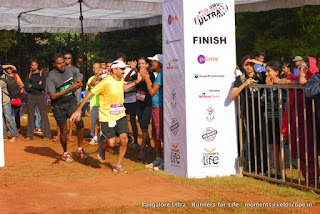 I crossed Sundar Purush, a 75K runner, completing his 1st loop. 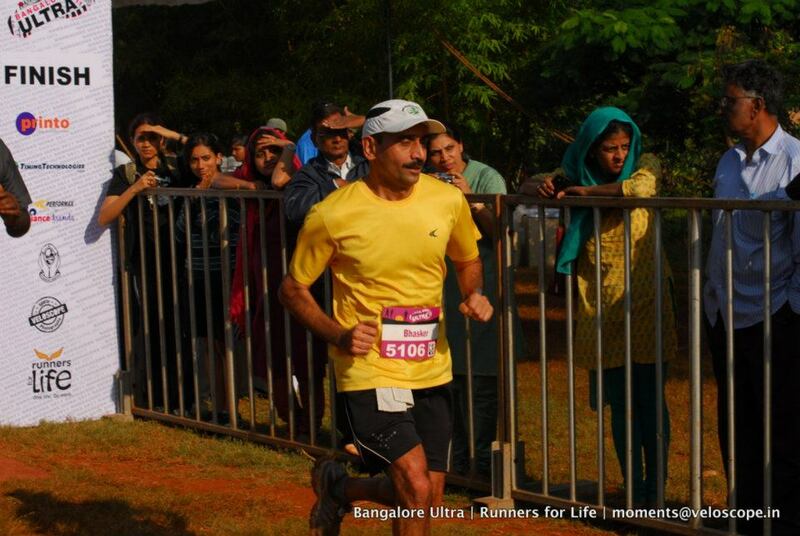 Sundar a runner from Chennai lapped me in my 4rth loop on the way to completing his 75K in a an incredible time of 8:23 - amazing time specially for such a tough course. 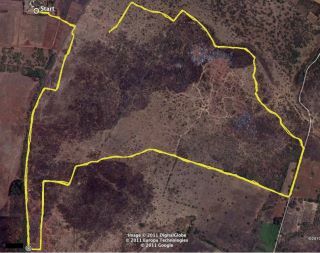 As daylight broke I noticed quite a few familiar 75K and 100K runners - over 30 runners were running these distances!! The trail was quite narrow in parts - towards the end of my 1st loop and again in the middle of the 2nd loop I bumped into the slower 12.5K/25K runners. I had to slow down considerably to squeeze my way through. After about 34Km towards the end of the 3rd loop my left glutes and calf started hurting and my pace started dropping quite a bit. The last lap was quite slow taking almost 1:37 at an average pace of nearly 7.5 minutes per Km. The cheering announcer and crowds at the turn around point was an encouragement to keep going. 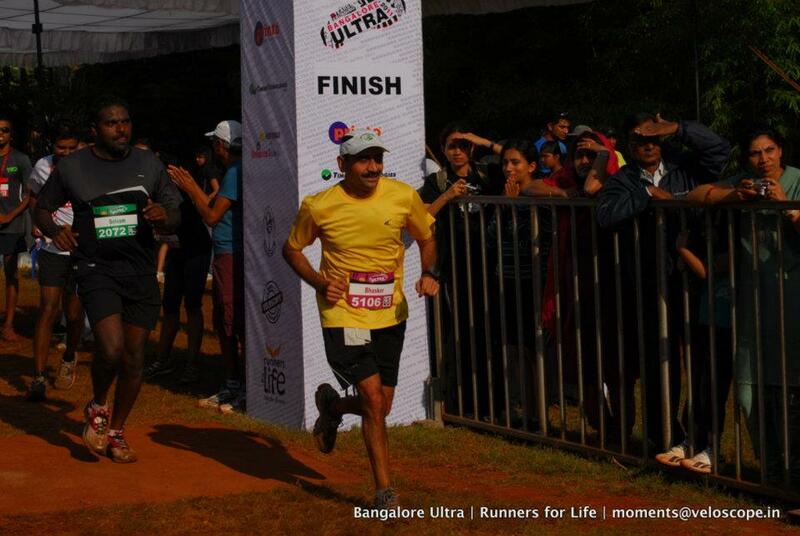 I managed to come 3rd in the 50K open category because many of the better runners(Sid, Bhasker Desai..) did shorter distances. After the race I hung around with friends before having a wash and lunch. The food was once again below par. We left ONV around 1PM and reached back home around 230PM after another 'Ultra experience'!! I realised that I was one of the few runners who has run 50K+ distance each of the 5 years. The two others I could think of are Athreya and Jacob - the winner of this year's 100K! !